The (private) Foundation Holland Circular Hotspot is proud to announce that Freek van Eijk has been appointed as its Director as of June 1, 2018. Freek van Eijk will work with the HCH-team to create and strengthen Circular Economy (CE) export and investment opportunities for the Dutch business community and stimulate international exchange of CE knowledge and innovation. For more information see press release below. The (private) Foundation Holland Circular Hotspot is proud to announce that Freek van Eijk has been appointed as its Director as of June 1, 2018. The Holland Circular Hotspot (HCH) Foundation originates from a public-private initiative that coincided with the launch of the Government-wide program “Nederland Circulair in 2050”. Freek van Eijk will work with the HCH-team to create and strengthen Circular Economy (CE) export and investment opportunities for the Dutch business community and stimulate international exchange of CE knowledge and innovation. This is done by the foundation in close collaboration with the national government and the Netherlands Enterprise Agency (RVO). By doing so, Dutch knowledge and expertise will contribute to the implementation of circular economy in an international context and help to accelerate the realisation of the UN Sustainable Development Goals. HCH will strengthen the international cooperation between companies, knowledge institutions and governments and invites parties with a similar ambition to work closely together. HCH will also increase the international visibility of Dutch knowledge and best practices in the field of Circular Economy, will help to make the existing instruments for trade and innovation more accessible to circular frontrunners and will also act as the CE entry point for foreign parties. 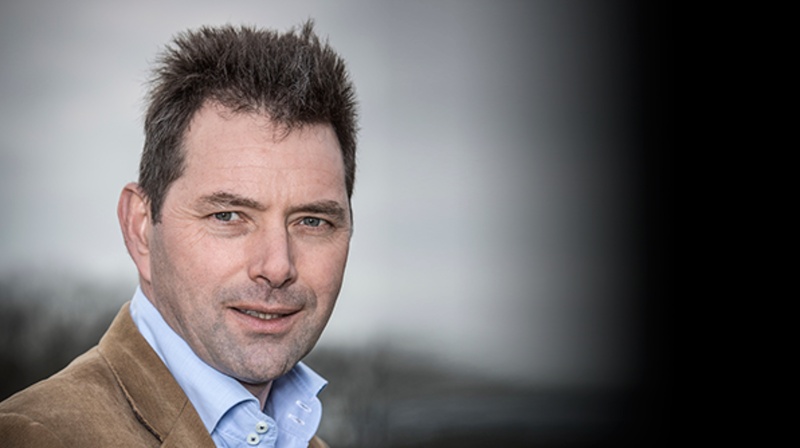 As Managing Director of Acceleratio, Freek van Eijk was the initiator of the first International Green Deal “The North Sea Resources Roundabout” and co-initiator of the NederlandCirculair! Program. He also supported UNIDO in setting up a CE strategy. Previously, he served as Director of strategy and PA at multinational SUEZ and served as a board member at the Dutch Waste Management Association and the Society and Enterprise Foundation (SMO). Holland Circular Hotspot and its partners will share the best Dutch examples and hard-learned lessons during the Holland Circular Economy Week (HCEW). HCEW offers a 4-day international program for delegations from all over the world from June 11-14. The program focuses on the themes: agri-food & biomass, textiles, building and construction, plastics, electronics and water & waste management. Approximately 170 foreign guests are expected from more than ten countries. The highlight of the week is the congress on June 12 at the Fokker terminal in The Hague with top speakers on Circular Economy and seating up to 400 people. State Secretary Stientje van Veldhoven, CE expert Thomas Rau and former Prime Minister Jan Peter Balkenende are confirmed as speakers. On Wednesday, June 13, company visits will take place around the six themes. Thursday, June 14 is dedicated for matchmaking (LEF center, RWS Utrecht). More information and registration can be found on www.hcew.nl.